Marlen Textiles has completed a warehouse expansion and modernizing operation, resulting in significant increases in quality control, warehouse efficiencies, and getting the right product out the door the same day to you, our customer! An initial study showed conflicts in 50% of Marlen warehouse slots, meaning that different products occupied the same warehouse space, requiring frequent moving of product to access the desired item. 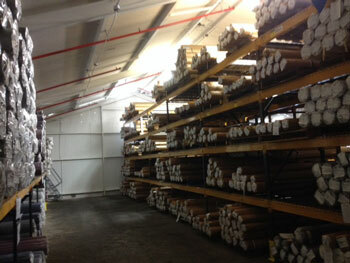 As a solution, newly renovated building space was converted into warehouse space, more racks built, and rooms were prepped for warehouse-level needs. With the new larger and more efficient warehouse space, Marlen Textiles has our most popular products available at ground-level for quicker and more convenient access, and each standard and custom product is now isolated to its own rack slot - minimizing the risk of picking the wrong product, and adding levels of accuracy to Marlen Textiles’ shipping and product quality control system. 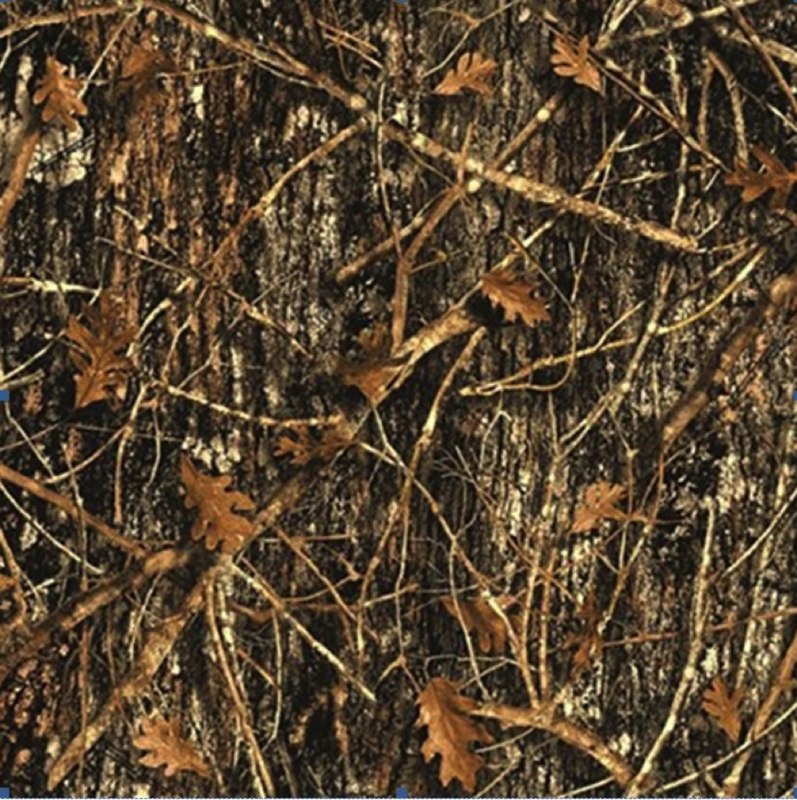 Marlen Textiles is partnering with TrueTimber Camo (http://www.truetimber.com/), the developers of some of the most realistic camouflage patterns in the industry, to offer Top Gun in a "Conceal Brown" camouflage pattern (see photo). Now fans of Top Gun can get its unrivaled performance and strength in a camo finish that enables hunters and other outdoor aficionados to have the best of both worlds - strength and camouflage in the great outdoors! Top Gun Camo (457 TrueTimber Conceal Brown Camo Top Gun) is scheduled to be released in early September, so get your pre-orders in now and be the first to enjoy this new product from Marlen Textiles! Marlen Textiles coated fabrics like Top Gun are known and trusted in Boating applications, awning and tent use, and for covers of all sorts - but would you believe, drama on the high seas?!? 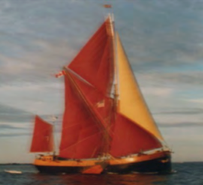 The Caravan is a non-profit professional theater company, based on the World's Only Tall Ship Theatre. This majestic 30-meter traditional sailing ship plays host for touring, performing, and even serves as cast and crew residence. It’s a bit like Cirque de Soleil meets a sailing ship, but they perform locally, wherever the ship can harbor, where visitors can assemble on the dock to watch performances. Founded in 1970, the Caravan mission is to create and tour the highest artistic quality, original contemporary theatrical productions into the waterfront heart of communities, for audiences throughout North America and Europe. In 1997, Marlen Textiles’ Top Gun was their fabric of choice to create their main sails – 90 feet stretching into the skies! Not only do the sails need to be functional, but attractive as well – they double as backdrops during performances, and are projected upon throughout each show. Constant duties in the States, then years of cruising in Europe, and then back to the U.S. - that’s constant forces from the sun, wind and rain (and snow, truthfully). So, 18 years later, Marlen receives a call from the theatre company. Even though the original sails are still functioning and look good, the Caravan thought it time to update the look. Naturally, they are replacing the original Top Gun material with new Top Gun material. Why stick with Top Gun? Because it performed beyond their expectation! The ship and touring company are now in Brooklyn NY, preparing a tour of eastern USA and Canada.